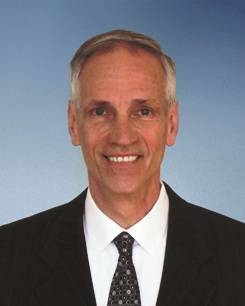 Staffordshire, UK — James Schak has been named Product Manager of Fluid Bed Processing Equipment for Kason, where he will oversee expansion and technical support of the company’s line of Vibro-Bed™ circular vibratory fluid bed dryers and coolers, it was announced by Henry Alamzad, president. “Jim brings 30-plus years of experience with direct and indirect dryers ranging from process engineering and design to teaching and marketing," says Mr. Alamzad, adding, "We expect him to expand the application range of Kason’s circular vibratory design through his wealth of technical expertise." James Schak was previously Chem Systems National Sales Manager for GEA Niro in Columbia, MD, and a Process Engineer for The Witte Company in Washington, NJ. He holds a BS in Chemical Engineering from New Jersey Institute of Technology, and has been the instructor for the University of Wisconsin’s Drying Technology Course for over 13 years. In addition to circular fluid bed dryers, coolers and moisturisers, Kason manufactures Vibroscreen® circular vibratory screeners, Centri-Sifter™ centrifugal sifters, and Cross-Flo static sieves.